The growth of mobile technologies in the health and life science industries is changing the way providers are practicing medicine and providing care. The trend towards mobile solutions started slowly in this environment, likely due to the complex interactions between departments, a high level of regulation, and the huge amount of data generated every day, but the need for better and faster interaction between physician and patient has helped accelerate adoption. Now the healthcare environment is full of devices, sensors, and apps that connect patients, doctors, insurance providers, and others. They allow professionals to capture critical information at point-of-contact, access important patient data from any location, and use remote monitoring solutions to track prescriptions and keep an eye on critical conditions. With these mobile technologies becoming an everyday part of healthcare for consumers and providers alike, we are moving beyond facility-based care and getting closer to a delivery model that is patient-centered and able to efficiently address their individual needs. The healthcare industry is already very capital intensive, which can make organizations and providers hesitant to invest in new technologies that may add further costs. On top of that, this is a highly regulated industry, and any new solutions that are introduced into an organization must go through a stringent approval process. Physicians are demanding fast and simple access to electronic health records. They want to be able to communicate with colleagues and prescribe medications whenever and wherever they are. Put simply, they want to be more agile in a collaborative and integrated environment. However, due to security and investment concerns, it has taken the industry a while to start making the necessary changes. Unfortunately, this means that it’s the consumer who has had to wait for these improvements. The common thread that ties all the new mobile technologies together is the desire to help healthcare providers and recipients know what to do and when to do it. In the process of becoming more efficient, any new developments should help consumers get better access to health care that is more convenient, more affordable, and provides better results. What are the initial vs. long-term investment requirements? Will it promote patient engagement? Does it address data ownership concerns and privacy issues? Will it significantly improve the workflow process? 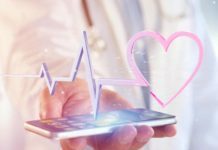 Assessing these characteristics in any new mobile solution will help to determine whether or not it will serve the purposes of the organization and improve patient care. Dictation – Use mobile recording apps and make dictations that are directly tied to the patient. Transcription – Automatically send dictated notes to the transcription service. Patient lists – Quickly and easily manage patient lists to ensure your time is used effectively. Patient engagement – Keep everyone informed with instant, on-demand access for both the patient and the healthcare provider. Scheduling – Doctors’ rounds can be done faster and easier. Fees – Capture professional fees in the most convenient way possible. Charges – Creating charges can be done by quickly accessing procedures and diagnoses and then finding the associated charge codes and comparing them to any regulatory requirements. This is really just the tip of how mobility can affect the medical industry. The real challenge, though, will be finding a way to implement them all as a comprehensive solution. When these can be tied into the clinical workflow, they will make the organization far more effective than if they trying to use each solution as a standalone tool. While mobile technologies have the potential to increase patient engagement and help them get proactive about wellness, prevention, and treatment, the rate of involvement with these new technologies will still depend a lot on its perceived value by the providers and recipients of a given healthcare procedure. Consumers must be willing to pay for devices, apps, and services while doctors may have to change the way they’ve done things for years. Mobile technologies are creating opportunities for more personalized healthcare, better diagnostics, and a range of consumer and provider incentives. By incorporating a number of services into a single, comprehensive plan, it will significantly increase the level of care that can be offered to patients.